Note: There are fewer screenshots than usual, which is a result of the fact that all screenshots are promotional, but they are nonetheless representative of what I have played of the game. Prey feels instinctive to play. 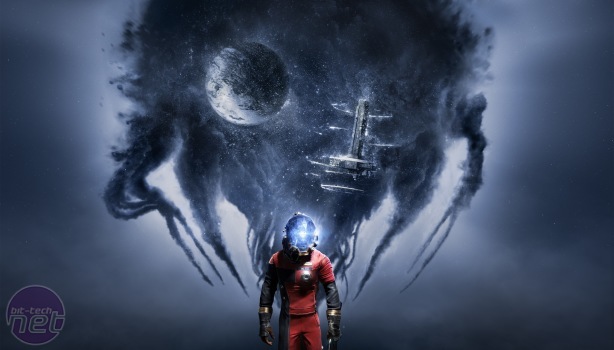 That was my initial thought as I came away from my hands-on with the opening hour of the game, a chunk that starts with me waking up in my nice warm bed in a beautiful city and ends with me alone and heavily armed on an alien space station. What impressed me most was how often the game said yes to me: when I tried to kill myself by hurling myself into the whirling blades of a helicopter rotor in the game's opening; when I tried to nope out of a nightmarish scenario by bashing the nearest window and jumping to safety; or when I got my hands on the game's opening weapon, the goo gun, and decided to use it to build my own personal mountain. Whether by smart design or some sort of Arkane ability, most solutions I tried to solve the problems encountered during my hands-on worked, and if they didn't work it was often for a valid reason instead of an invisible wall. There's a detailed skill tree you can use to give yourself hacking skills or lift really heavy objects, so I'm sure as your characters specialises more you'll be able to pull off more unique solutions or get serious regret about your choices when you get stuck outside of an impassable door. The doomed spaceship you find yourself on for much of Prey feels like you're inhabiting an actual world, something familiar to fans of the immersive sim, a weird meta-genre encompassing classics like Thief, System Shock, and Deus Ex despite their wildly different gameplay. The promise of an immersive sim is that you can be drawn into a world and feel like you really exist there, and Prey delivers on that premise, bringing the attention to detail you might expect from the team at Arkane Studios, the same team behind hit franchise Dishonored. Here, though, the environments feel claustrophobic, specifically designed to make you feel enclosed and even trapped in the bowels of a doomed space station. The world building is still top notch, with several touches telling the story of an alternate history where JFK survived his assassination and poured cash into space projects, culminating in the moon-orbiting space ship you're now padding around nervously, Talos 1. Much of this exposition is delivered to you via signs on the wall — with the Kennedy twist being delivered via several plaques mounted in a guest centre — emails, and texts. 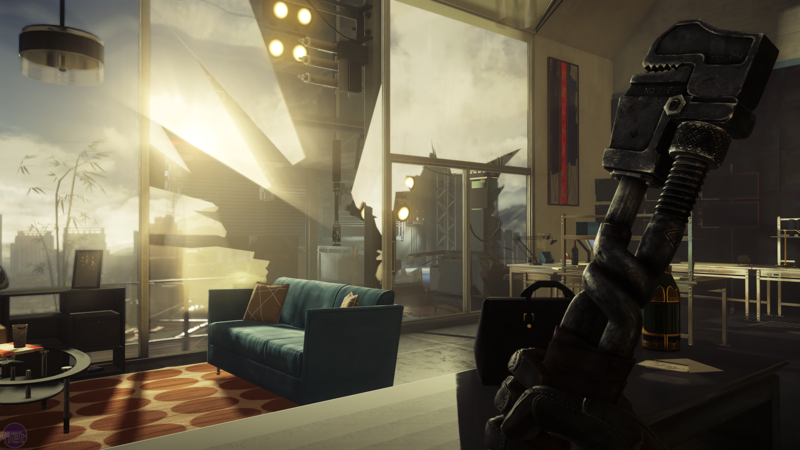 Reading emails and listening to people's voicemails has lost its shine slightly since I first picked up a datacube in Deus Ex, but here the story is well written and the mystery so obtuse for this opening hour that I found a lot of my playtime was spent trying to hoover up information on this world. Players of previous immersive sims might find things a little different here, though. Recent entries into the genre like Dishonored and Deus Ex have cast you as an all-powerful terror that stalks the halls, a bogeyman so adept at violence that the real challenge is to find a way not to kill. Prey is the complete opposite, or at least it as in the initial moments. The Talos 1 feels like a hostile environment, and this isn't helped by the fact that several of the alien menaces you'll face off against have the ability to disguise as everyday objects, with a key part of an early scene involving a scientist picking up his coffee cup from the table, asking why it was empty before it transformed into a small alien right before his eyes, jamming a moist fleshy tentacle through his mouth and throwing everything into panicked carnage. 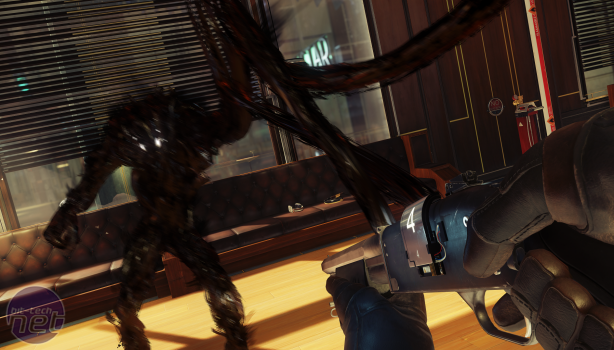 Arkane's latest immersive sim arrives. But how is it? Rick looks back at the swashbuckling fantasy game that led to Dishonored.